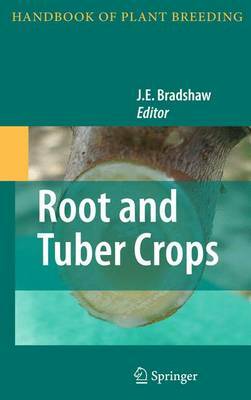 It is important to include Tuber and Root Crops in the Handbook of Plant Breeding. They include starchy staple crops that are of increasing importance for global food security and relief of poverty, important millennium goals for the United Nations. Indeed, 2008 was the UN International Year of the Potato in recognition of this role of the potato as the world's third most important food crop after wheat and rice. The other major staples are cassava, sweetpotato and yam. Together they occupy about 50 million hectares, with production at 640 million metric tons, of which 70% is in developing countries. In total there are more than 30 species of Root and Tuber Crops grown in the world today. Given the content of other volumes in the series, it makes sense to include sugar and fodder beets; swedes and turnips; and minor root and tuber crops so that the book series is as complete as possible. Like the other volumes in the series, this one will present information on the latest in applied plant breeding using the current advances in the field, from an efficient use of genetic resources to the impact of biotechnology in plant breeding. Seven crop specific chapters are proposed, together with an introduction to this diverse set of plant species. Outstanding scientists for each crop species are proposed as senior authors, who may invite co-authors to contribute part of a chapter. In order to increase the overall acceptance of the volume, balance will be sought with authors from different research groups/countries who will be asked to contribute and collaborate where appropriate. The book should be of interest to researchers in both academic and industrial settings, and in both developed and developing countries, as well as students and teachers of plant breeding. It is currently extremely important to educate and train a new generation of plant breeders given the challenges faced by humankind in producing more food for an expanding global population during a period of environmental (including climate) change.